After a very long time, we managed to get away from London and enjoy some family time together. It wasn’t the best weekend to pick as it was absolutely freezing with snow and rain. However, I managed to find some time to sketch while the children enjoyed playing – bliss! I am still keeping it simple with ink and minimal watercolour. 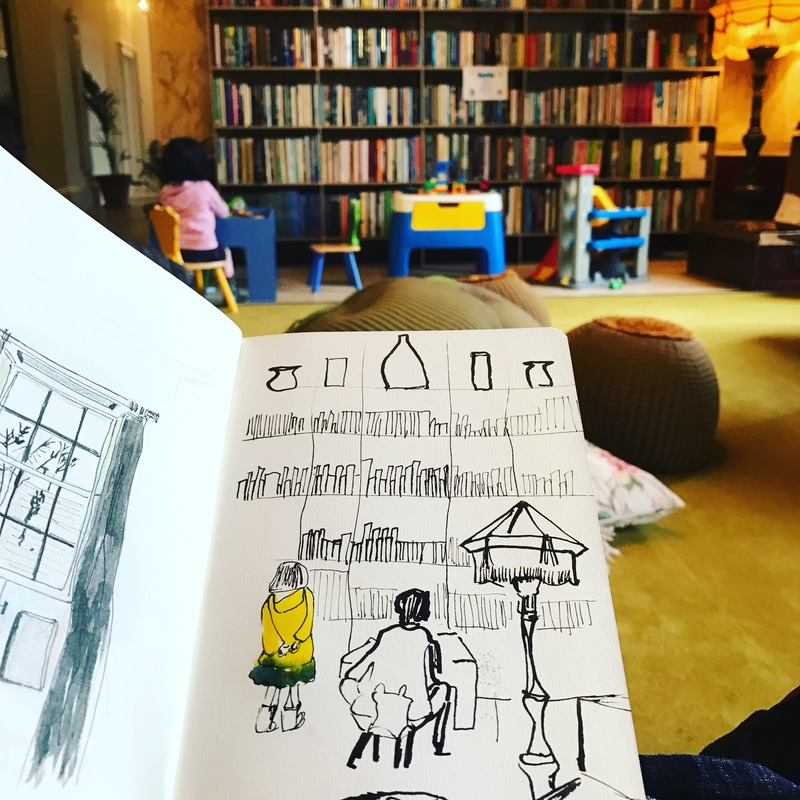 I also sketched a window from our room and a beautiful view of the park while we enjoyed morning tea – these sketches are posted on my instagram account find me @Biralsketch.